Blue, A1 and Jeff Timmons 3 in one concert 8 PM February 25,2012 at the Smart Araneta Coliseum. 23 year old Olga Alava from Ecuador crowned for Miss Earth 2011. A beauty pageant at the University of the Philippines Theater in Quezon City Diliman she was crowned by Miss Earth 2010 Nicole Faria on 3rd of December. The first time that equador wons for Miss Earth 2011 title. Olga Alava, was born in Guayaquil, Ecuador date 1988 February 14. First runner-up Miss Earth-Air 2011 went to Miss Brazil Driely Bennettone, Athena Imperial as Miss Earth Water 2011 2nd Runner up and 3rd runner-up Miss Earth-Fire 2011 is Miss Venezuela, Caroline Medina. 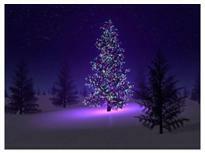 You will fell the spirit of Christmas every near end of November and early until 25 of December. Almost majority of the Christendom religion celebrates the birth of Jesus Christ. Traditionally it believed that the Three Kings/Magi comes from the east where Melchor, Gaspar and Baltazar ride on a camel to Visit Jesus Christ's birth. They brought a gift of gold, frankincense and myrrh. A conflict arise in the Hebrew background about the "Three Kings/Magi" issue regarding the visits of Christ's Birth. The Three Kings are not realy the Three Kings but they are "Kakamen" in hebrew, means Wise Men. Kakamen are truely from the east of Jerusalem but they are hebrew people itself. A Hebrew Rabbi waiting for the fulfilment of the coming messiah.